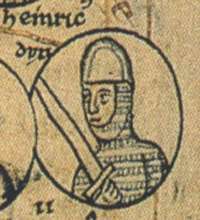 In 974 Duke Henry resolved to oust Otto II from the throne. With support of his sister Hadwig, he forged alliances with Bavarian and Saxon nobles, and also with Duke Boleslaus II of Bohemia and Prince Mieszko I of Poland. 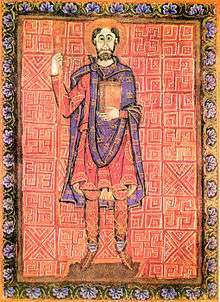 Otto II was able to take Henry captive in Ingelheim - though he also had to deal with rebellious nobles in the County of Hainaut and the Bishopric of Cambrai as well as with the raids of the Danish king Harald Bluetooth in Holstein. ↑ Burgundy and Provence, 879-1032, Constance Brittain Bourchard, The New Cambridge Medieval History: Volume 3, C.900-c.1024, ed. Rosamond McKitterick and Timothy Reuter, (Cambridge University Press, 1999), 342. 1 2 C. W. Previté-Orton, Cambridge Medieval History, Shorter: Volume 1, The Later Roman Empire to the Twelfth Century, (Cambridge University Press, 1979), 433. ↑ Burgundian Notes, Reginald L. Poole, The English Historical Review, Vol. 26, No. 102 (Apr., 1911), 314-315.